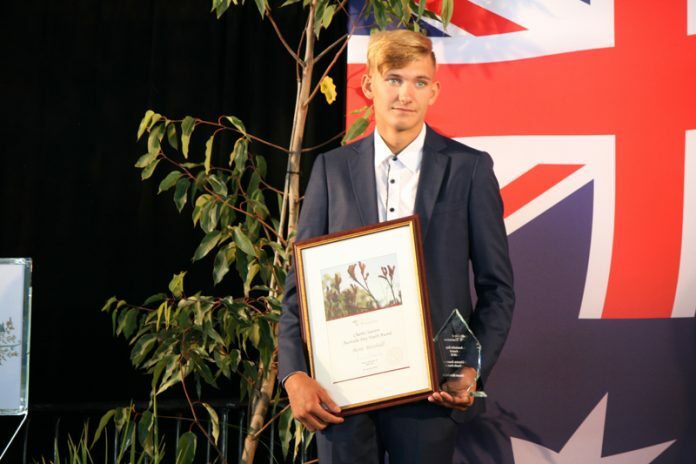 EGLINTON resident Benn Marshall, who volunteers with emergency services organisations, has won the City of Wanneroo’s Charles Searson Australia Day youth award. A graduate of Butler College Mr Marshall was recognised as being an active member of the community, displaying outstanding community spirit not only when he was a student at the college, but also through his volunteer roles with Quinns Mindarie Surf Life Saving Club and Quinns Rocks Bush Fire Brigade. In 2017 he received the Edith Cowan University citizenship award in recognition of his dedication to the community. He has been a volunteer surf life saver with Quinns Mindarie Surf Life Saving Club for the past five years, helping to ensure the safety of beachgoers and an active member of Quinns Rocks Bush Fire Brigade for the past four years. The Australia Day individual award went to Casty Nyaga for consistently going above and beyond for her community, making herself available for coaching, consultation and mentoring to anyone in need. The judges said Dr Nyaga was a staunch advocate for young people, using her network to help facilitate mentoring and work experience opportunities for young people looking to pursue a professional career. She is a board member of the Kenyan Community in Western Australia and vice president of the Organisation of African Communities, where she is actively involved in the Stop the Violence program, an OAC initiative sponsored by the Office for Multicultural Interests. The Australia Day community award went to the Lake Joondalup 3 Plus Program provides specialist care for additional needs children in our community. The Australia Day senior award was given to Bernard Terry an active member and president of Brighton Community Garden and Education Centre since its foundation in 2011. Mr Terry’s wealth of knowledge and experience is readily shared with garden members and the community, educating and advising people on the establishment and care of their plots within the community garden. Additionally, Mr Terry has organised and run numerous community workshops on sustainable gardening and his work educating the community on the important relationship between community gardens and healthy food has been recognised and championed by the Planning Institute of Australia and the Heart Foundation. City of Wanneroo Mayor Tracey Roberts said the city had again hosted the biggest citizenship ceremony in the country, with 785 people from 63 different countries making the pledge to become Australian citizens on Australia Day.